Police say the current District Five building is making officers sick. Council's Budget and Finance Committee debated the issue for nearly two-and-a-half hours Monday afternoon. But in the end Mayor John Cranley and supporters of the College Hill plan did not get what they wanted. Charlie Winburn, chairing what will likely be his last meeting of the Budget and Finance Committee before he is term-limited off council was angry at the five council members who voted to delay. "If any of you have any ideas of running for mayor in four years, remember this vote," Winburn said. Fraternal Order of Police President Dan Hils is an ardent supporter of the College Hill plan. He wants the non-patrol officers who are still in the 60-year-old Ludlow Avenue building out of there as soon as possible because he considers it a threat to the health of the officers. Police officials say those officers will be temporarily moved into the College Hill building on the site of the proposed construction. 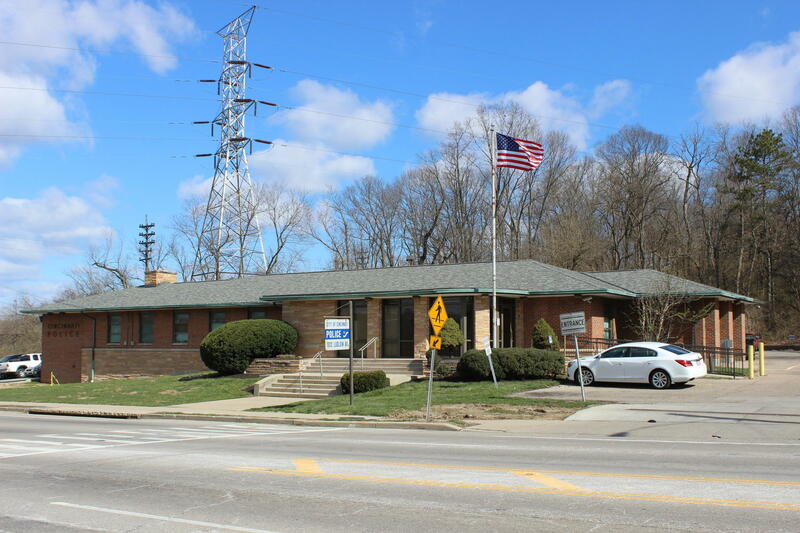 The city had already budgeted $10 million to convert the vacant city permit center on Central Parkway in Clifton into the new headquarters. Vice Mayor David Mann, a Clifton resident and, in 2018, the new chair of the Budget and Finance Committee, said he doesn't see why the city would want to spend an additional $7 million "when we have a perfectly good building on Central Parkway we can convert for $10 million." Mann said people in Clifton are just now hearing about the College Hill plan. They should be involved in the decision-making, Mann said. Wendell Young, who recently returned to council after experiencing severe health problems, was the key vote Monday. Young, a former police officer, said he supports building a new headquarters in College Hill. But he provided the fifth and deciding vote for Council Member Chris Seelbach's motion to delay the decision. In a news conference Monday morning at the College Hill site, Cranley said the building at the College Hill site is a good solution. "I can't imagine a bigger shot in the arm to anchor this district, the south side of this district, than having District Five right next to the firehouse," Cranley said. After the committee vote Monday, Winburn said he would caucus with his fellow council members who support the College Hill location and hinted that he might call a special meeting of the committee to reconsider before the present council terms ends. Cincinnati officials are asking the National Institute for Occupational Safety and Health (NIOSH) to conduct a cancer cluster review at the District 5 police building on Ludlow Avenue. Council Member Charlie Winburn requested the study Thursday in a memo to the city manager.